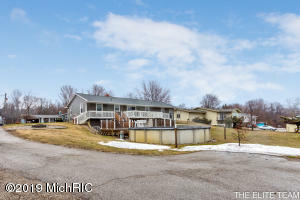 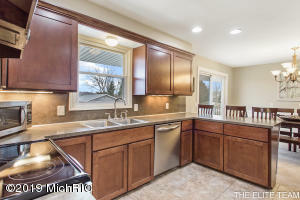 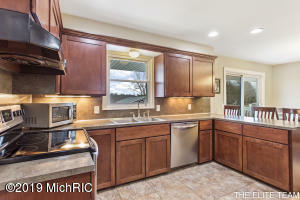 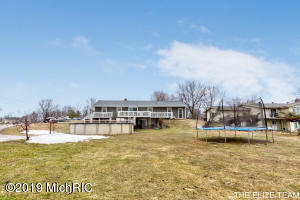 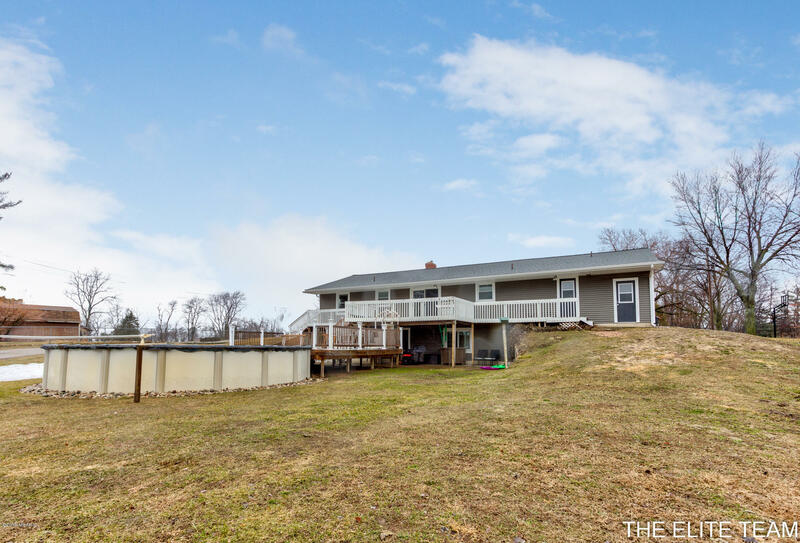 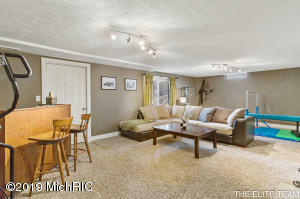 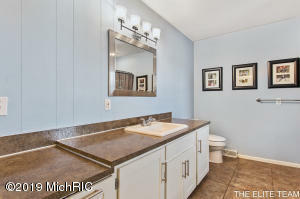 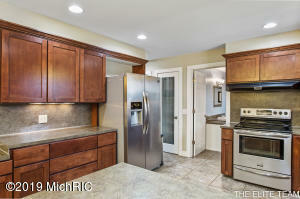 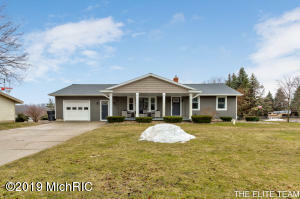 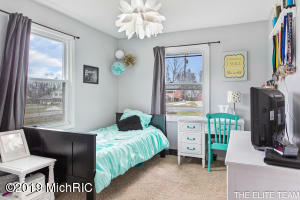 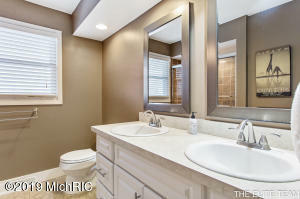 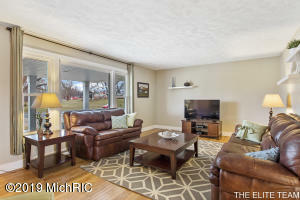 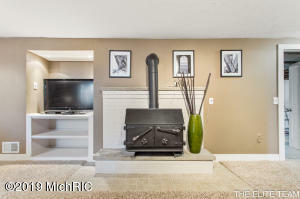 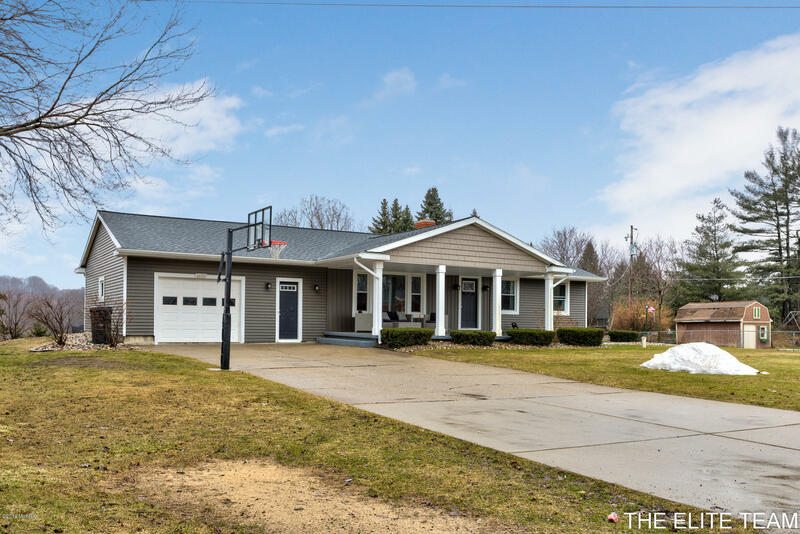 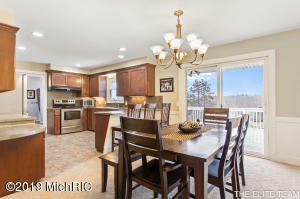 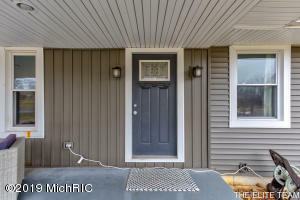 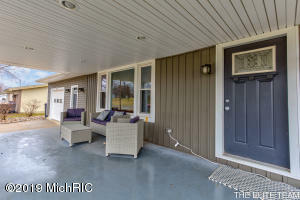 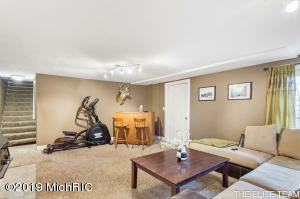 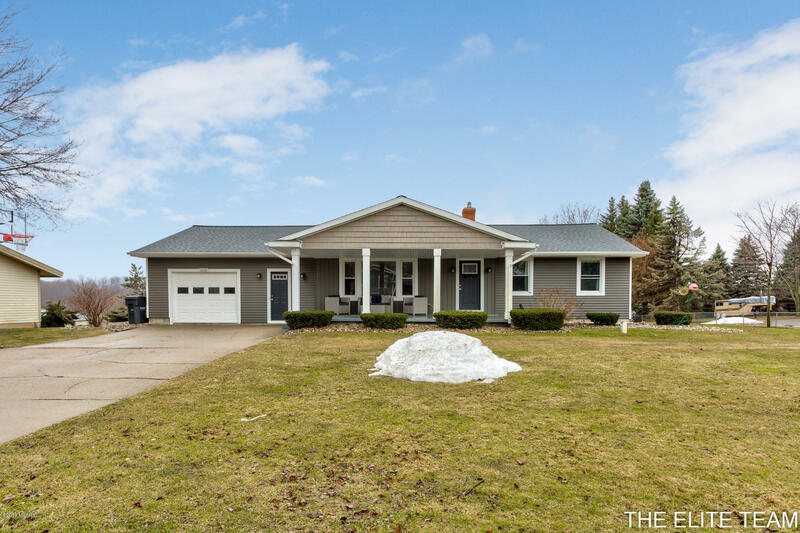 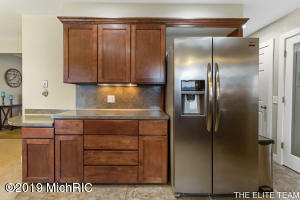 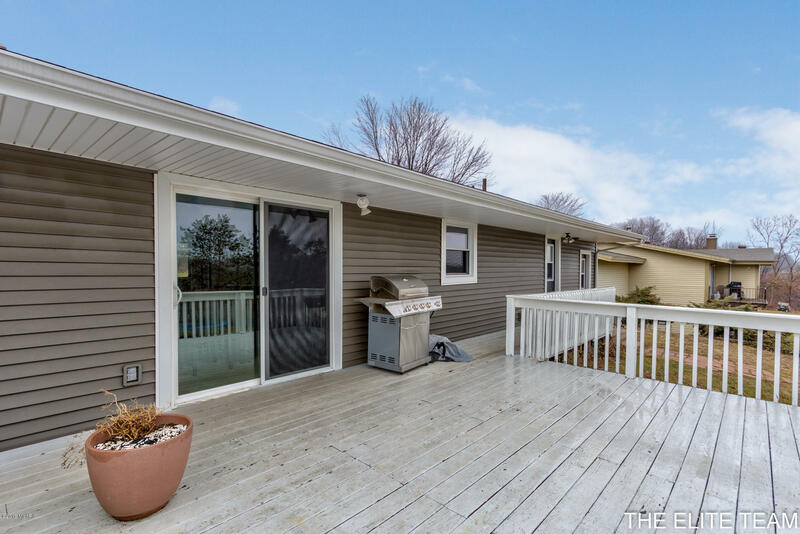 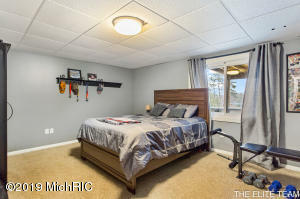 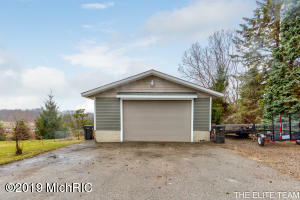 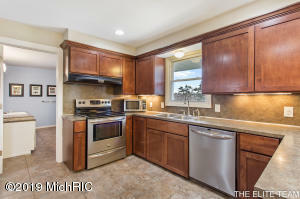 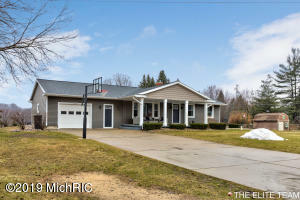 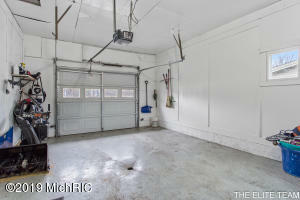 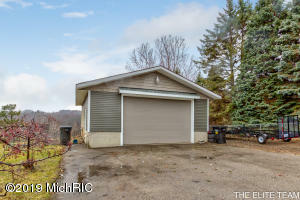 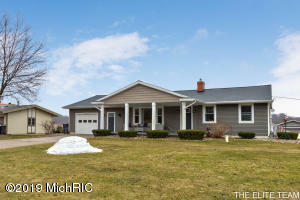 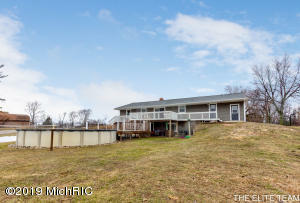 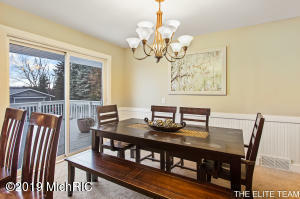 Great Hudsonville Ranch home on almost 3/4 of an acre! 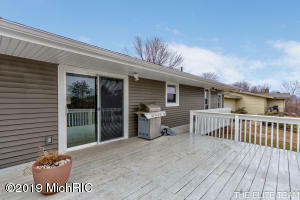 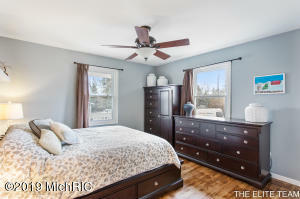 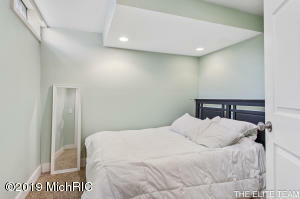 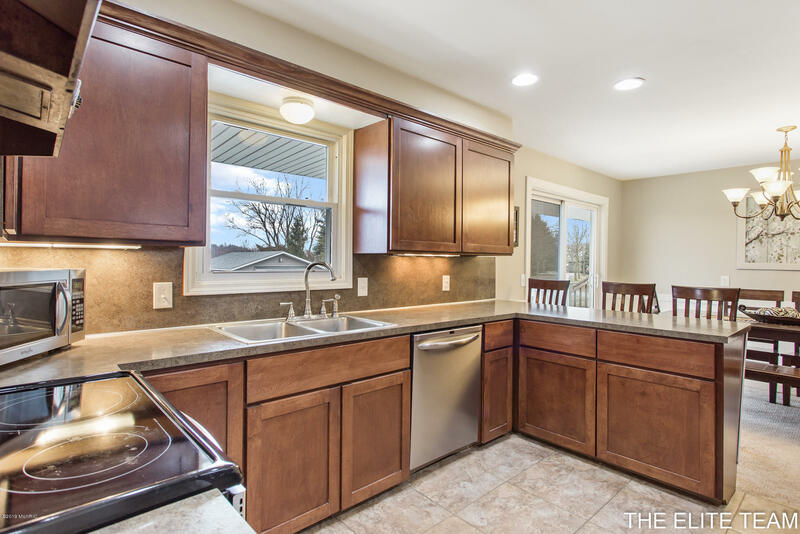 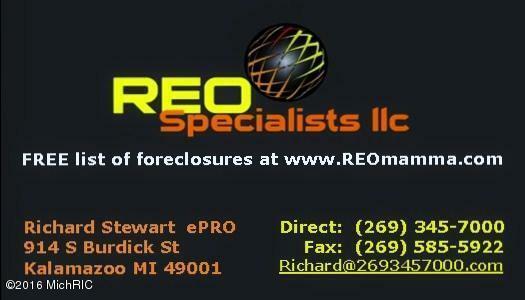 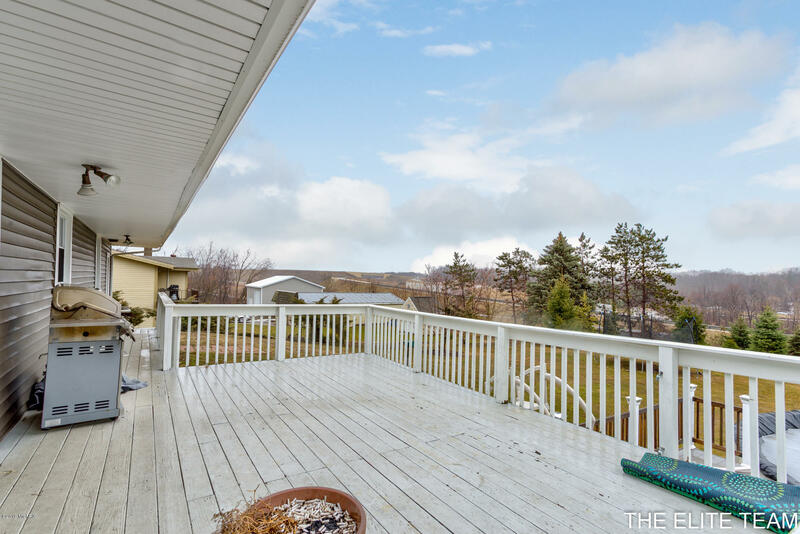 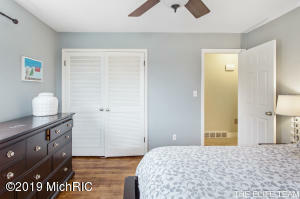 This 5 bed 2 bath home has much to offer its new owner. 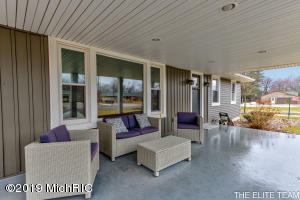 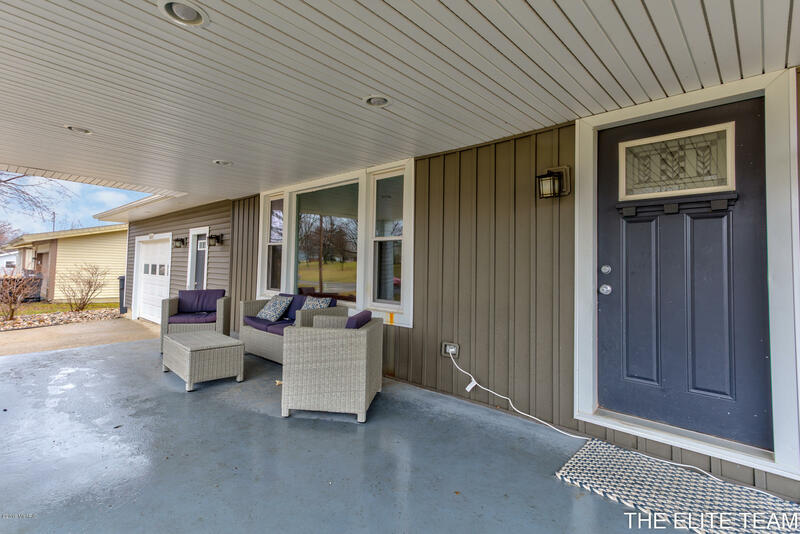 The large covered front porch is a wonderful place to sit and enjoy your morning coffee. 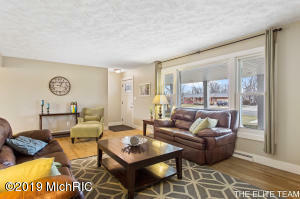 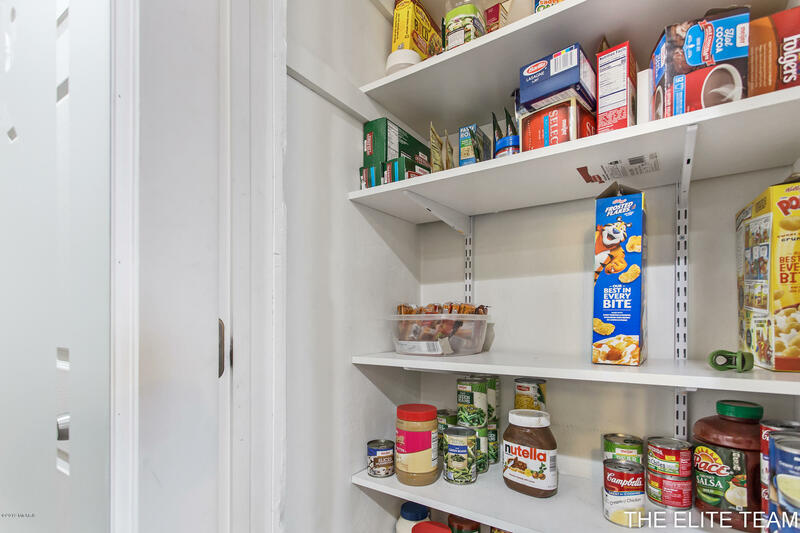 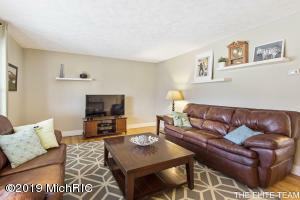 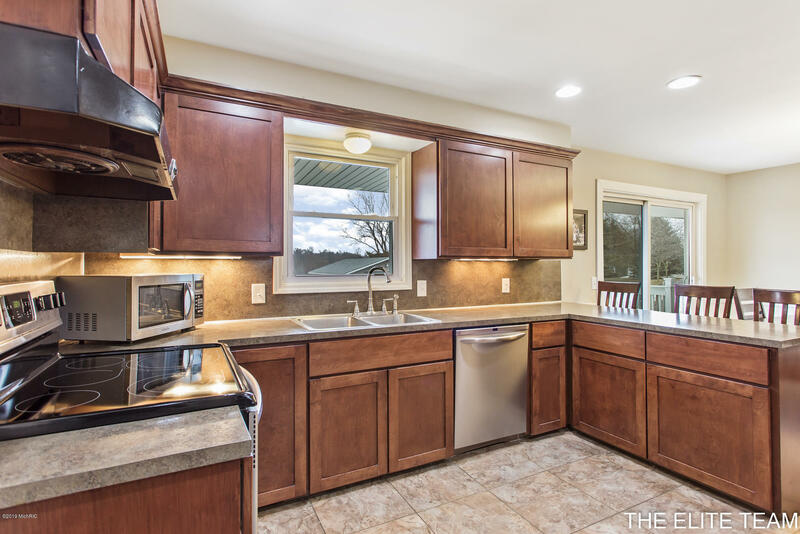 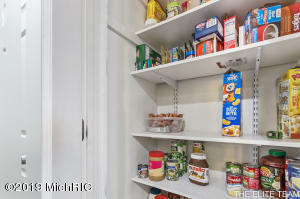 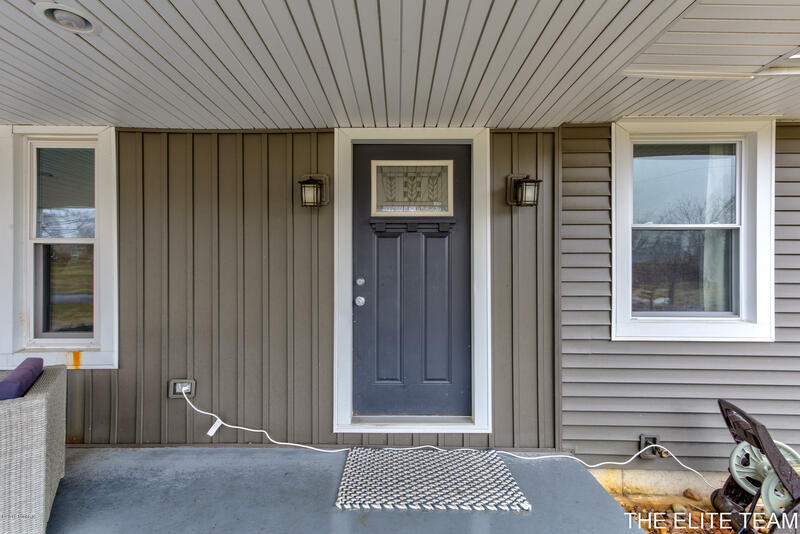 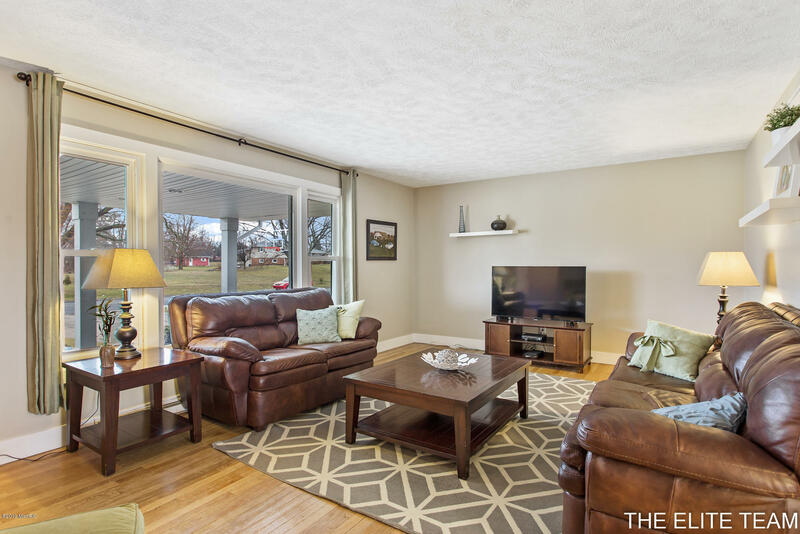 When you walk in the door you will find a living room that leads to the dining room and connects with an updated kitchen. 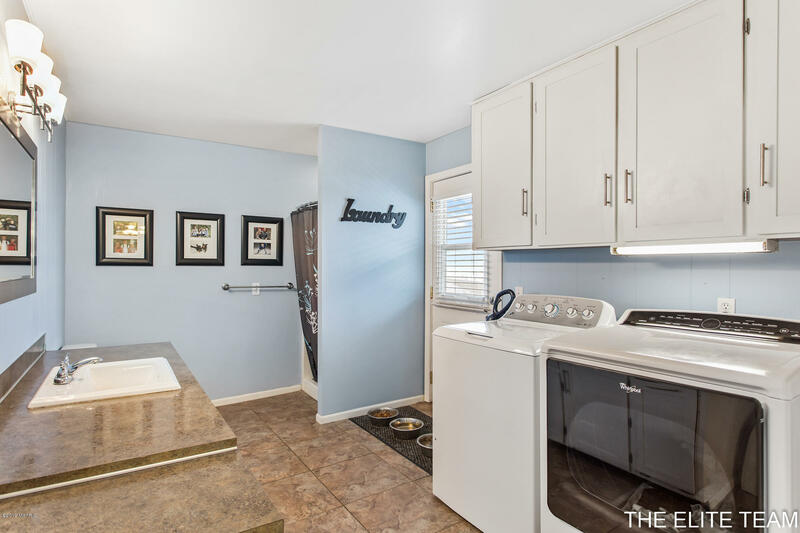 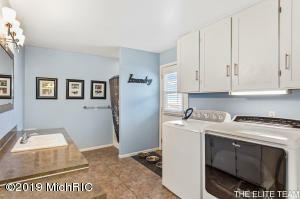 Through the kitchen is the main level laundry and 1st bathroom. 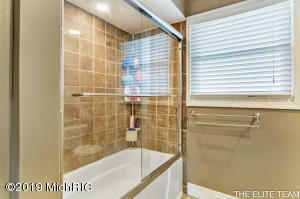 Completing the main level are 3 bedrooms and the second full bath. 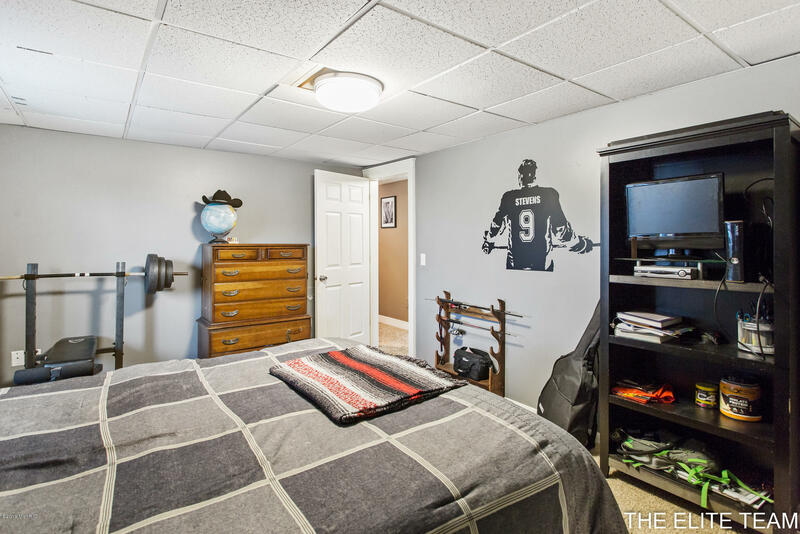 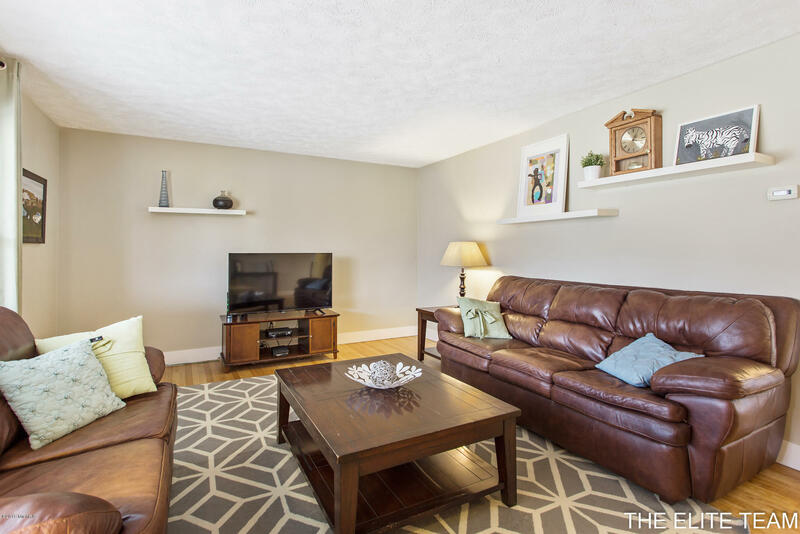 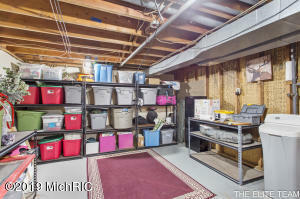 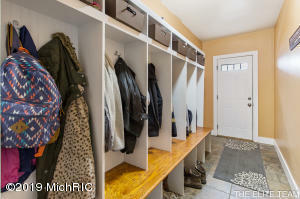 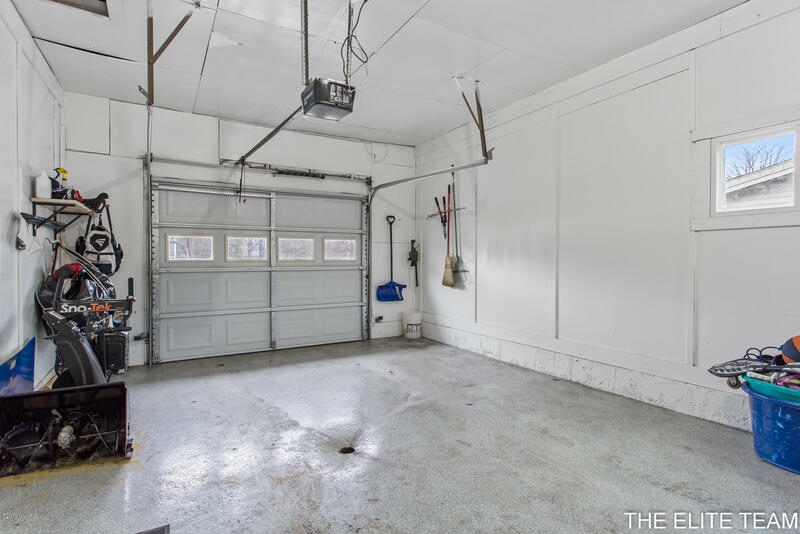 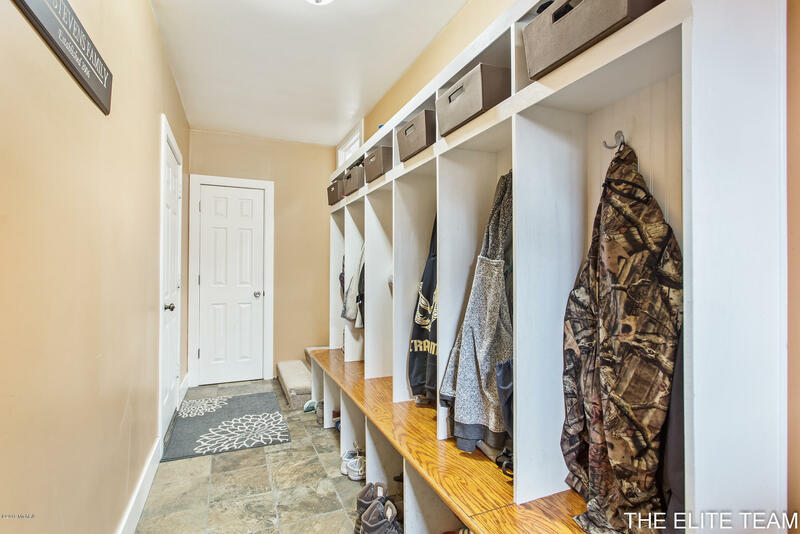 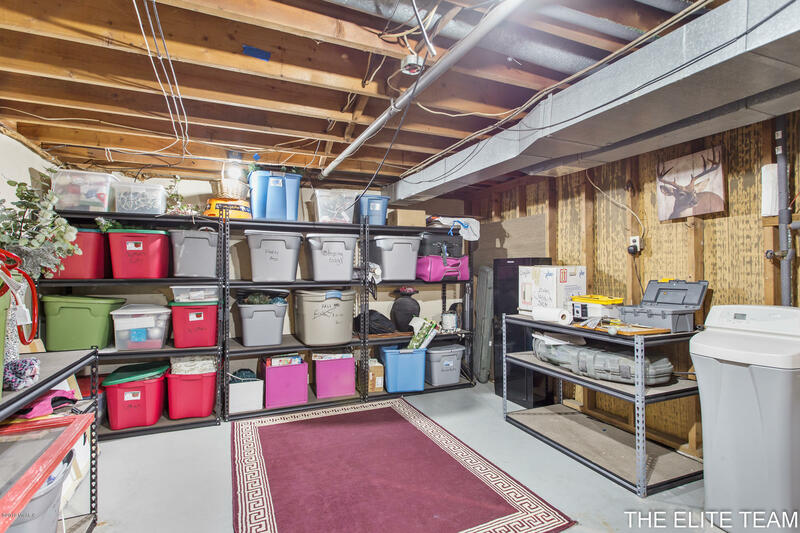 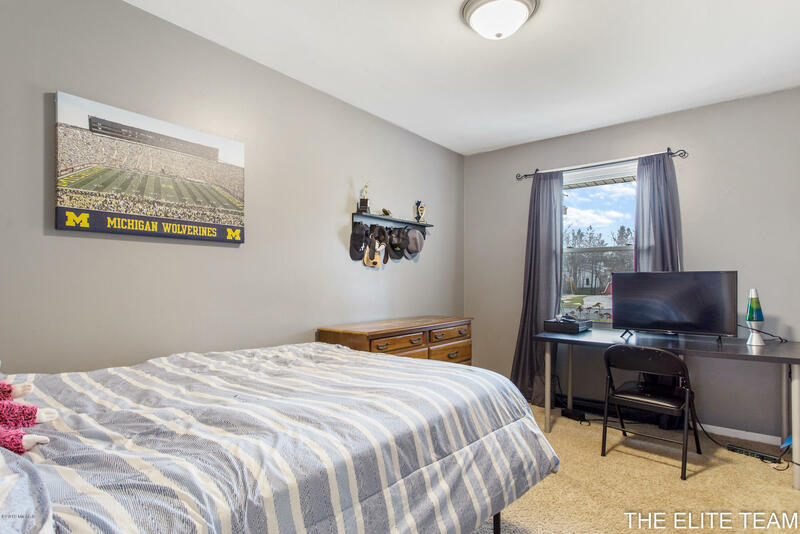 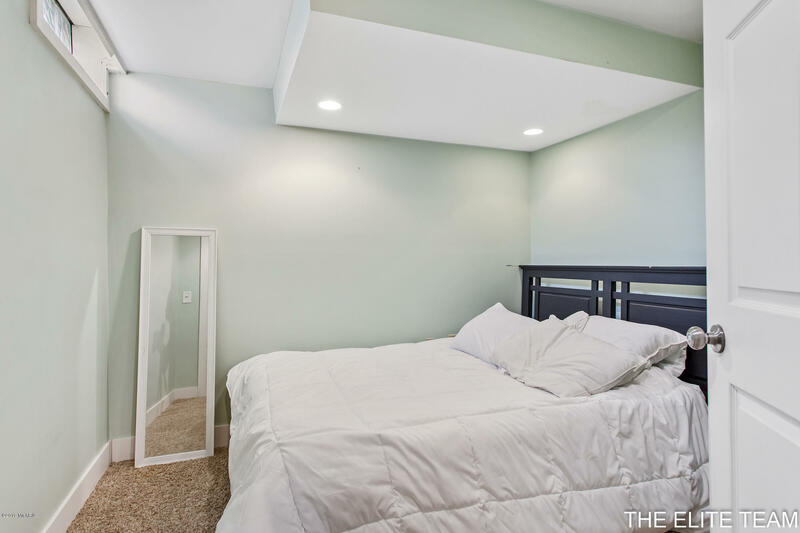 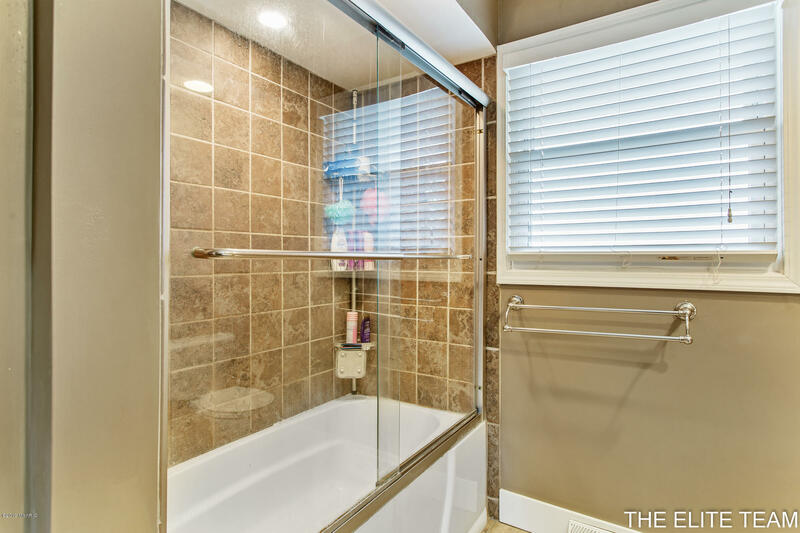 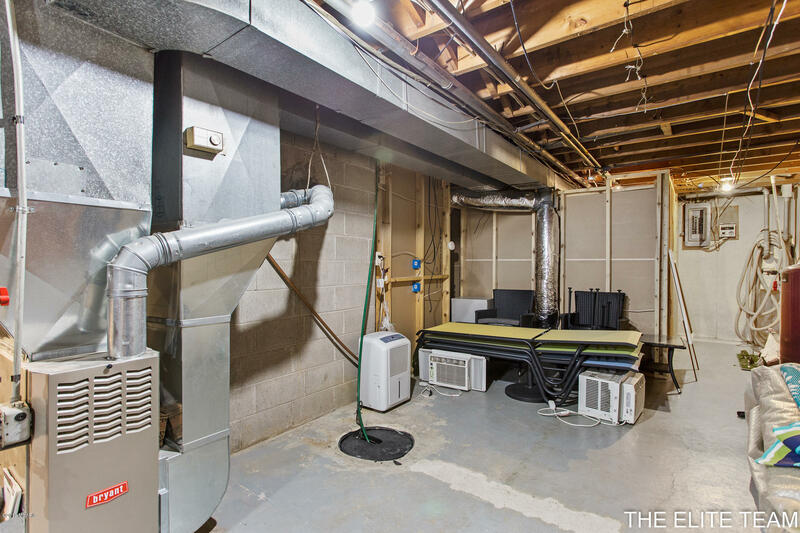 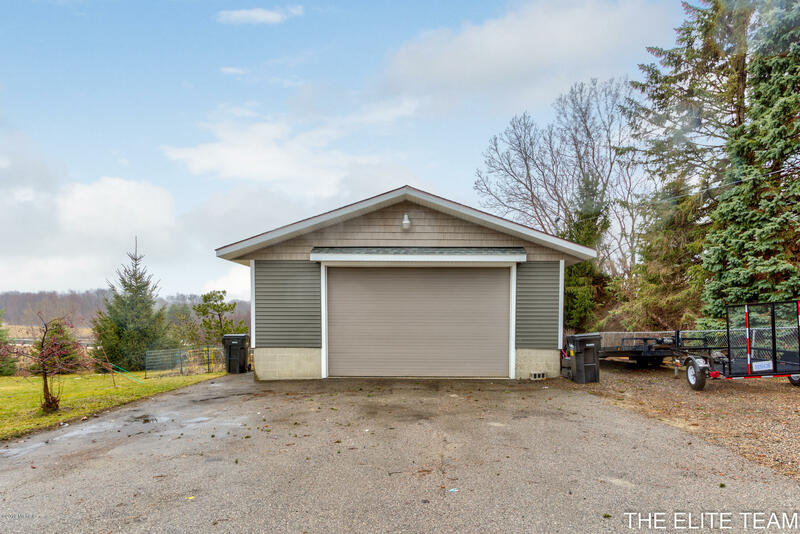 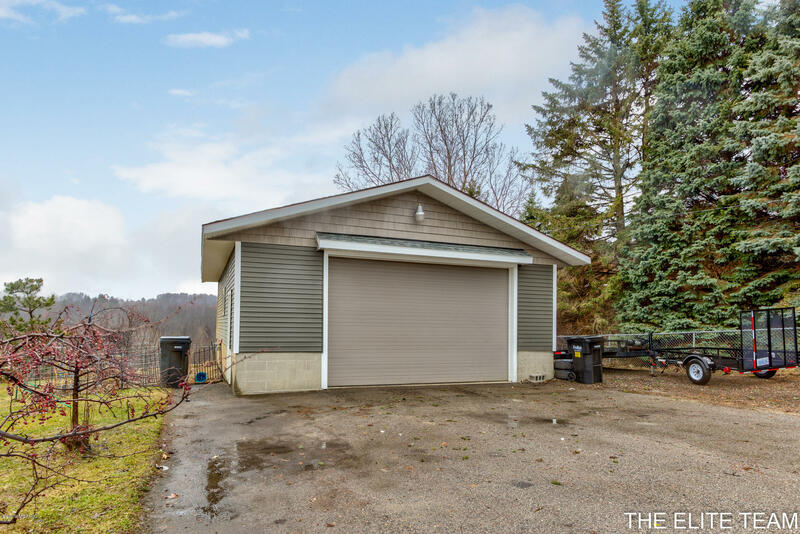 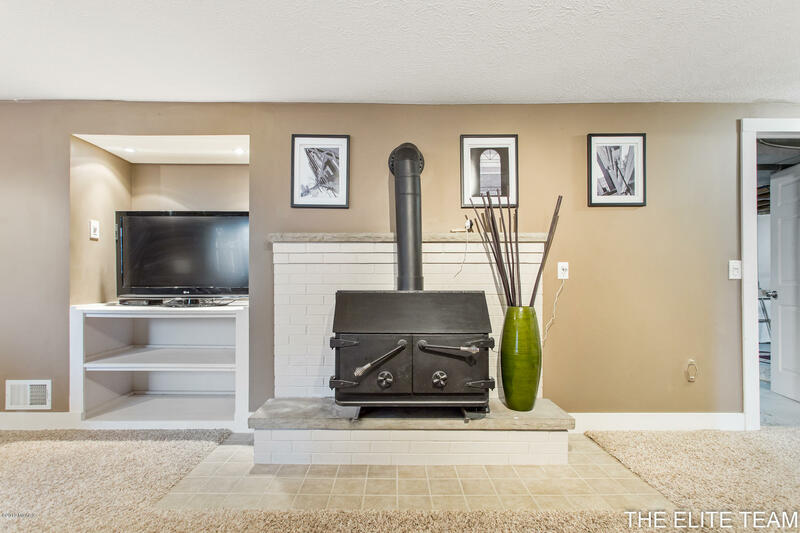 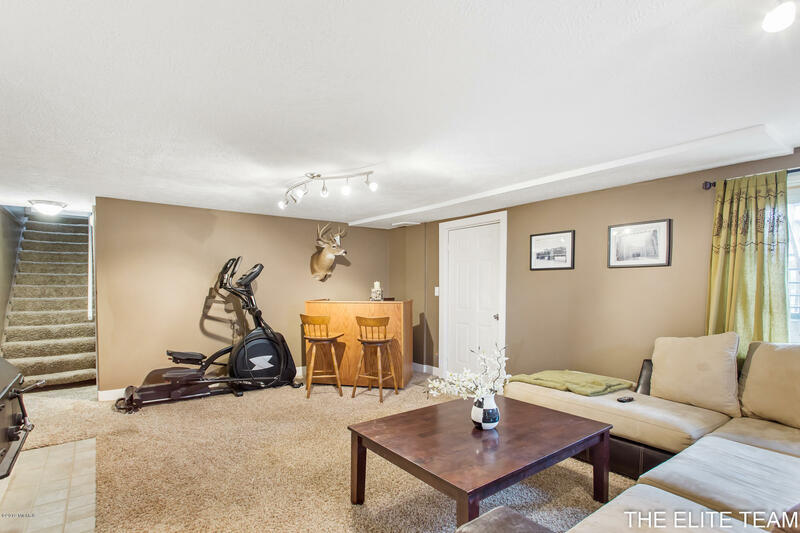 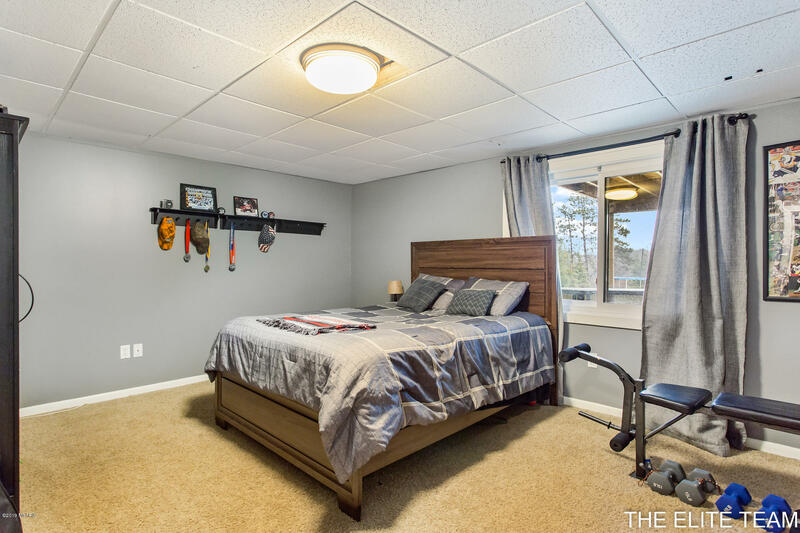 Head down to the basement to a rec room with wood burning fire place and 1 additional bedrooms and and one non conforming bedroom along with plenty of storage. 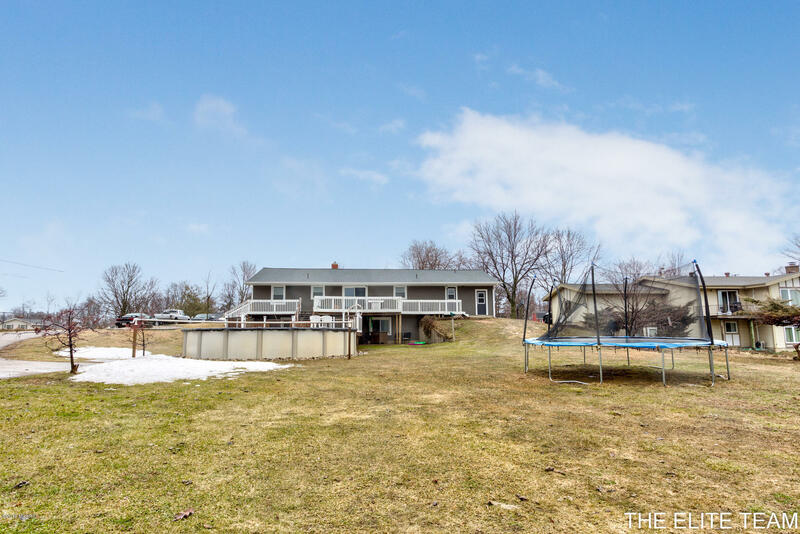 In the back of the home is a large deck with above ground pool. 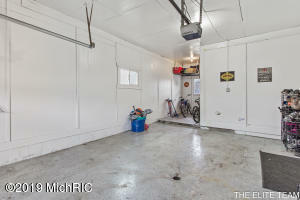 Finishing out the back yard is an insulated 26 x 36 out building with separate driveway.